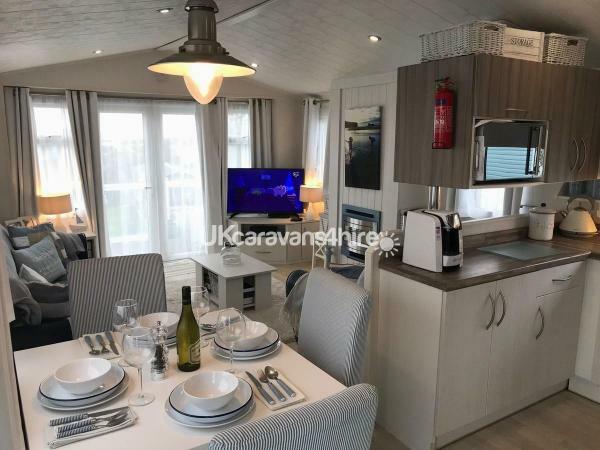 Additional Info: Our outstanding position on Perran Sands provides you with immediate access to all the site amenities and with Ocean Views just minutes away. 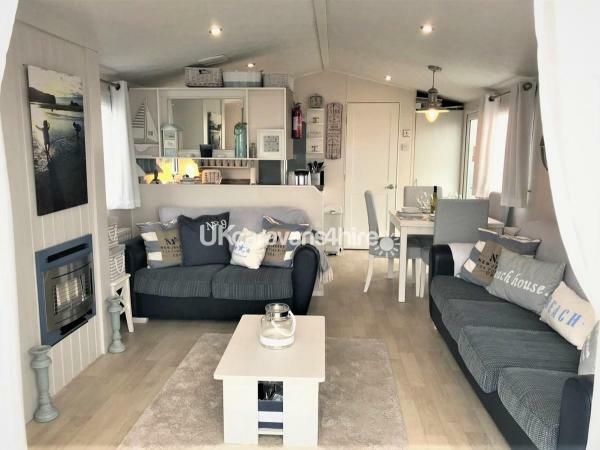 The Willerby Special features large living spaces and practical design creating a serene harmony.This caravan has been decorated to the highest spec creating a modern but homely feel. 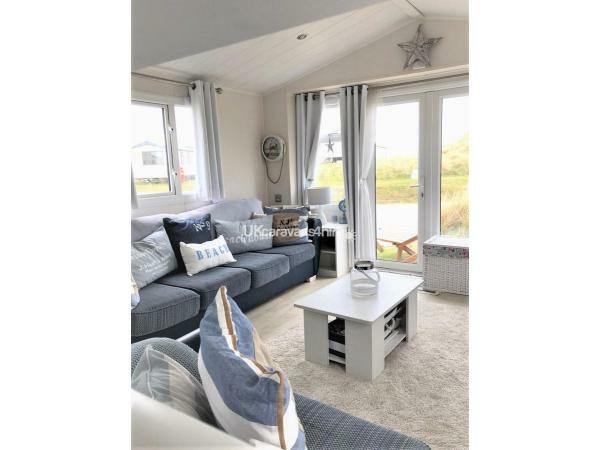 A great position on Perran Sands, you are a short walk to the sand dunes and pathway down to the beautiful beach. Central Heated and Double Glazed throughout. This fabulous open plan area is both light and homely. freestanding coffee table and contemporary wall mounted fire. The flat screen 32" TV has a built in DVD player with HDMI & USB connectivity. This stylish and well equipped kitchen contains everything you should need for your stay. 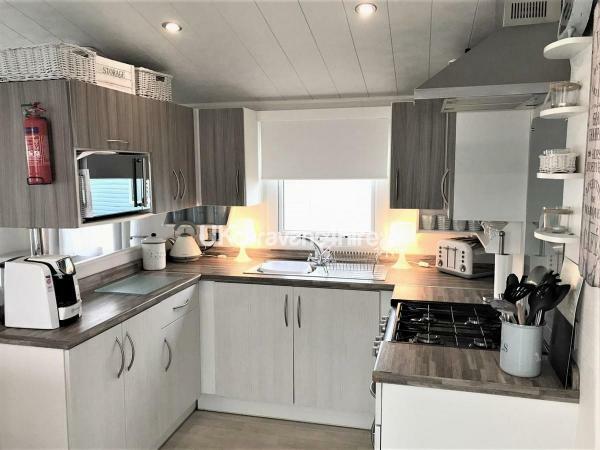 With a full sized oven and 4 burner gas hob plus re-circulating extractor hood, fridge with freezer section, microwave, toaster and kettle. We even supply your Tea Towels The dining area has a free standing Dining Room Table and 4 Dining Room Chairs. 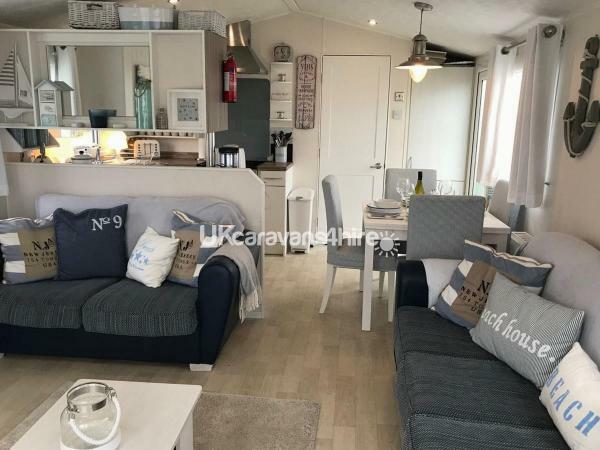 A good sized bedroom with a comfortable 4'6" double bed and bedside tables, complete with duvets, pillows.You will have plenty of storage too as well as a wall mounted TV and hairdryer.There is also an en-suite toilet in the master bedroom. 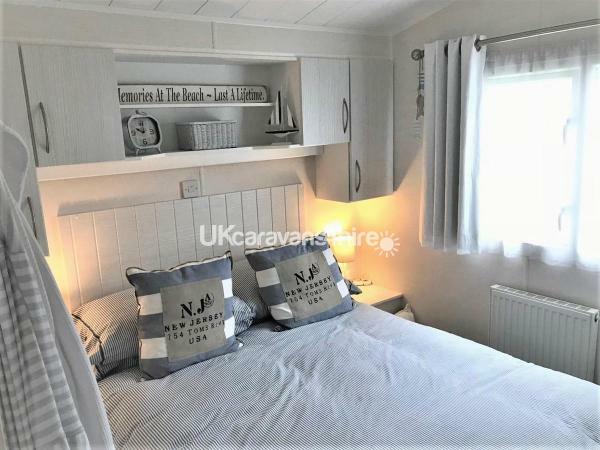 There are two separate twin rooms, both of which contain one single bed giving these single rooms so much more space again these are elegantly decorated with a chest of draws and bedside tables and lamps.additional storage units. Duvets, pillows are provided. Contains a large shower with extractor fan, wash basin and WC.